I continue to be impressed with the new items Ipevo comes out with to support teaching and learning. 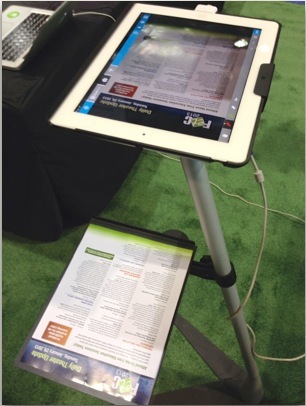 At FETC in January, I was able to see the attachment for the Perch iPad stand that allows you to use the iPad as a serviceable document camera. The Ziggi USB Document Camera is going to be updated soon to the Ziggi-HD model. I got my hands on one, and took at look at the output from its 5 megapixel camera (up from 2 megapixel in the previous model) with a resolution that was bettered from 1600x1200 on the original Ziggi to 2592x1944 on the HD model.The Ziggi-HD still includes a 2" macrofocus and controls on the head for exposure, snapshot, and autofocus. 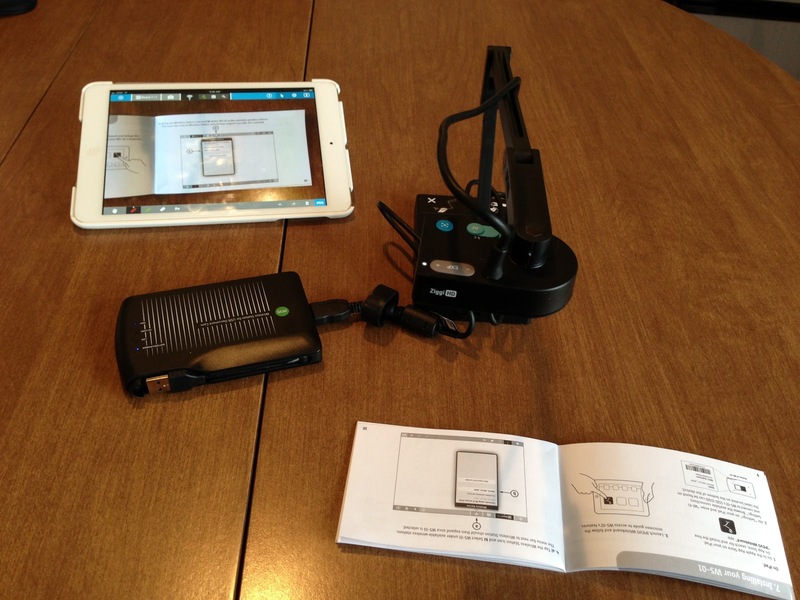 The iPevo Presenter software allows for a 6x digital zoom with the Ziggi-HD, too. 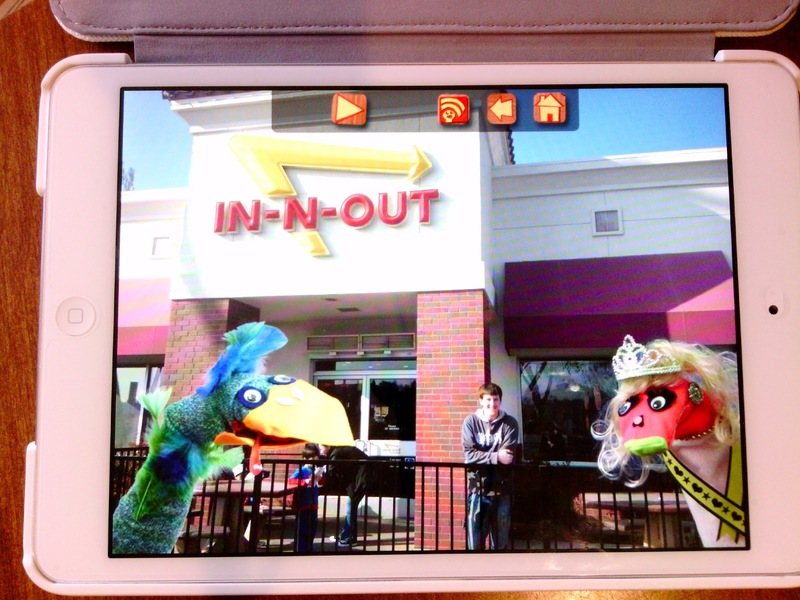 I also used the Ziggi-HD to record a movie of a Sock Puppets presentation on the iPad to see how that would work. The other new cool thing from Ipevo is the ability to stream the images from any Ipevo document camera wirelessly to your iPad or computer with their WS-01 Wireless Station. And, with the addition of the Ipevo Whiteboard app, you can mark up the image on the iPad just like you can on an interactive whiteboard! Below is a short demo I made using the Ipevo Whiteboard app on the iPad and used Reflector to record the projected image on the desktop. There is no audio recording in the Whiteboard app, so there is no sound. You should be able to figure out what I am doing-- marking up, adding arrows, taking a screenshot, etc. The set-up is Ziggi-HD USB Document Camera attached to the Ipevo WS-01 Wireless Station, projecting the image wirelessly to my iPad which is hooked to the WS-01 via an ad-hoc network, marking up the image using the Ipevo Whiteboard app, and recording the whole thing via the Reflector app on the desktop. It sounds like a lot of techie stuff going on, but it is really easy! The manual that comes with the WS-01 (see it here) gives good directions.